Anti-trafficking officials in Cameroon have struck a significant blow against the illegal wildlife trade (IWT) after seizing more than 100 elephant tusks and putting an ivory trafficker behind bars. 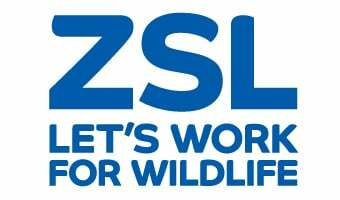 The successful operation comes just six weeks after staff received training from international conservation charity ZSL (Zoological Society of London). Agents from the country’s Ministry of Forests and Wildlife (MINFOF) seized the haul of 106 forest elephant tusks, which weighed in at almost 200kg, close to the town of Djoum in the southern Dja region on 3 May. Two men were arrested and are currently on bail ahead of a trial on 22 May. It has been confirmed that one of the men is already known to local law enforcers as a suspected ivory trafficker. The seizure follows a December 2017 operation by the same MINFOF team, which saw 400kg of ivory seized near the Dja Faunal Reserve, a UNESCO World Heritage Site in the south of the country. The 216 tusks seized remains Cameroon’s largest-ever ivory seizure. Cameroon is home to one of the last remaining strongholds of the forest elephant (Loxodonta africana cyclotis). Though genetically distinct from their more celebrated savannah cousins, forest elephants are still classified as part of the same species (Loxodonta africana). While African elephants are listed overall as Vulnerable on the IUCN Red List of Threatened Species, Central Africa’s forest elephants are classified under the higher category of Endangered due to the significant threats they face across their range. The trade in ivory has decimated forest elephant populations in the Congo Basin over the past 10-20 years, with population declines estimated to be in excess of 60 per cent in the 10 years from 2002-2012. Remaining populations continue to face considerable pressure, not helped by ongoing political instability in parts of the region. The MINFOF team recently underwent training with ZSL conservation law enforcement specialists, covering areas including evidence-gathering, profiling techniques, human rights and wildlife product recognition. ZSL continues to provide post-investigative support to local authorities through its dedicated law enforcement experts in Cameroon and London. Illegal wildlife trade is currently reckoned to represent the world’s fourth-largest illicit industry, alongside drugs, arms and human trafficking.